A new report, Back from the battlefield: domestic drones in the UK, examines the use of drones by public and private actors within the UK, focusing in particular on law enforcement and border control authorities, law and regulation, and public and private funding for technological and regulatory development. As well as looking at the current situation, the report considers potential future developments and argues in this respect that public discussion, debate and decision-making is needed before the use of drones – in particular for surveillance purposes – becomes widespread. Due to a lack of safety guarantees and regulatory framework the use of drones in the UK remains limited, particularly amongst public authorities, although there are moves to introduce them more widely. Currently it is private companies dealing with surveying, mapping, photography, filming and safety inspection that use the vast majority of drones licensed for operation within UK airspace. However, as technology develops and becomes more widely available this is likely to change, and various attempts are being made to drive this development and capitalise on what is perceived as a significant market for ‘civil’ drones. A key role in this push is played by millions of pounds of public and private funding that has gone towards technological and regulatory research and development. 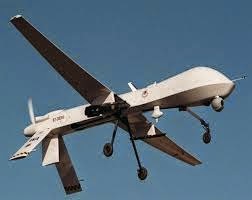 Over the last decade some £80 million of public money has gone towards research for and development of domestic drones or the technology required for their use, although given that research into military drones may be applicable in the civilian sphere, the total amount is likely to be significantly higher. The UK’s flagship research programme, ASTRAEA, received public funding of £32 million, which was matched by the private sector. ASTRAEA sought to develop the technology necessary to allow routine drone flights in domestic airspace. It has had little to no regard for privacy, data protection or other civil liberties and human rights considerations, and appears to have been drawn up and implemented by large arms firms – including BAE Systems, Cassidian, Cobham, Rolls-Royce and Thales – and state officials with no democratic input or oversight. While it is unknown exactly how much funding private firms have put into drone research and development over the last decade, for those projects examined in the report funded jointly by public and private bodies, public funding has consistently been more generous. This differs little from many established models of public investment in technologies not yet considered ‘market-ready’, but it remains worth noting that it is ultimately private companies who will reap the financial benefits of the development of the supposedly multi-billion pound domestic drone market. Considering these inadequacies – and in the light of ongoing revelations about mass telecommunications surveillance by security agencies and the highly controversial use of undercover police officers in protest movements – there is arguably a need for a thorough revision of the UK’s legal and regulatory framework surrounding all forms of surveillance. The equally crucial issues of safety, airworthiness and pilot training are dealt with in the UK by the Civil Aviation Authority, and broadly speaking it appears that current regulations address these issues – for example, the propensity of drones to crash – relatively well. However, there are concerns over the use of drones weighing less than 7kg that remain out of scope of CAA regulations, particularly with the growing construction, purchase and use of drones by individuals. While enforcing a regulatory and legal framework to cover ‘DIY’ drones, particularly those that are particularly small, may be difficult, the adoption of such a framework will become increasingly necessary as ‘private’ drone use increases. They are highly prone to crashing and people have been killed and injured by falling drones. The risk is significant: earlier this month the US equivalent of the CAA, the Federal Aviation Authority (FAA), revealed that a small drone nearly collided with an airliner over Florida in March 2014, which could have had “catastrophic results”. Growth in the use of drones by private companies also calls into question the reliance of the government on a voluntary Surveillance Camera Code of Practice and the provisions of the Data Protection Act, passed into law in 1998 when surveillance by aerial drone was a distant prospect. Responses to Freedom of Information requests issued to every UK police force show that eleven forces are known to have used drones, but that the technology is only currently used by two – Staffordshire and the Police Service of Northern Ireland. Drones have been used these two police forces for a variety of purposes (most widely by Staffordshire), including for the monitoring of demonstrations, the surveillance of poachers, and in attempts to deter anti-social behaviour and track criminals. Other forces have had less luck: Merseyside police trumpeted their capture of a car thief after deploying a drone to hunt him down when he fled the vehicle, only to be ticked off by the Civil Aviation Authority and banned from using their drone after it emerged they had never obtained a licence. Over the years the police approach to unmanned technology has become increasingly centralised. An Unmanned Aerial Systems Steering Group run by the Association of Chief Police Officers (ACPO) and the National Police Air Service, established in October 2012, currently keeps chief constables from around the country up-to-date on developments, and a single technical requirement for police a drone has been developed by the Home Office. Police representatives are presumably also involved in the Cross Government Working Group noted above. While the National Police Air Service has remained tight-lipped over what information it holds on drones, referring questions back to ACPO, it does not seem that the widespread acquisition or deployment by police forces of drones is an immediate proposition – meaning that the time for a meaningful debate on the issue should be now. Revelations in 2010 that Kent Police and the UK Border Agency were working in partnership with BAE Systems to develop drones for the monitoring of the UK’s borders were met with concerns from civil liberties organisations, with other suggested uses including monitoring fly-tippers and cash machine thefts. That project – known as the South Coast Partnership – no longer exists. In fact, it seems that Kent Police – who subsequently tried to downplay the project as “never a structured arrangement” – were unceremoniously dumped by BAE Systems. They “communicated by telephone” the news that the project was over, and the force claims to hold no documentation in relation to it. Kent Police have, however, taken on a role in a cross-border, European Union-funded project with French and Dutch authorities and institutions that has a similar objective: the use of drones for border control, along with critical infrastructure and environmental monitoring. Called 3i, it has received half the total costs (€1,854,571) from the European Commission’s Directorate-General for Regional Policy. Kent Police, one of fourteen partners, received €53,421 of this. Ultimately, the report argues that the fears raised in media reports in recent years – skies awash with high-powered state surveillance drones – have not yet come to pass. For this reason, it is urgent that a public debate on domestic drones takes place sooner rather than later, and that decisions on acceptable limits for their use are taken in an open and democratic manner – not in secretive working groups and industry-dominated research consortiums.